A pitcher for the New York Highlanders (now known as the Yankees) and the Cincinnati Reds over a 5-year career would be all but forgotten if his legacy depended solely on his baseball skills. The nickname “Slow” doesn’t conger up thoughts of a Hall of Fame ball player. Larry Fritch card from his museum. 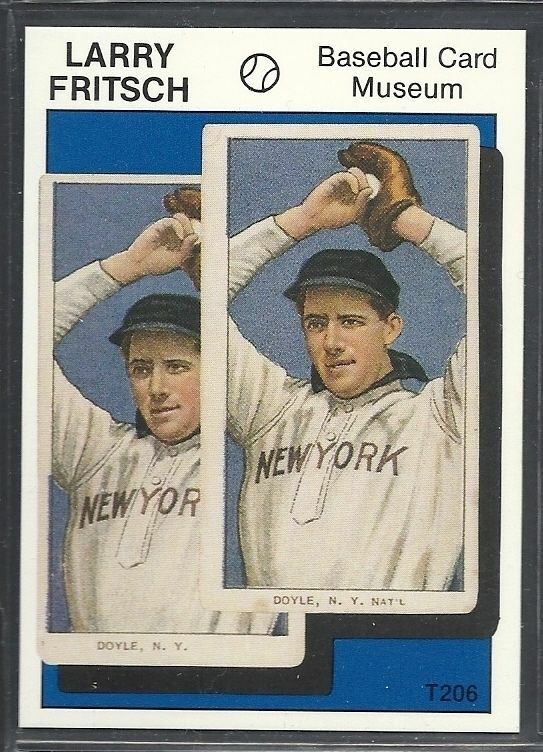 T206 Slow Joe Doyle error. Seeing how American Lithograph was located in Manhattan, some quick-witted baseball fan (probably a fan of the Highlanders) noticed the mistake and the league designation was removed from the card caption. Since a lithography stone was already cut, it was easier and cheaper to simply remove the league and not replace it with the proper “Amer.” league designation as that would require the cutting of a new printing stone. But, like all great baseball card mysteries, a hand-full of the error cards got out. The card did not become widely known until the early 1980s when dealer Larry Fritch advertised to buy any examples of this card. 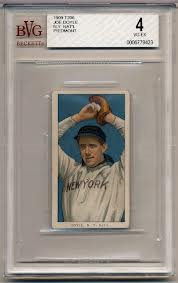 The card today is one of the rarest cards in our hobby commanding 6-figure prices when one of the approximately 7 known does go to auction. The rest, as they say, is history. But there is a pre-history to this error. This wasn’t the first time this same error had happened. The T206 Doyle error can only be found with a Piedmont 350 back. That means it was in the second series of cards. That would mean it was released in late 1909-early 1910. The American Lithograph would have been working on card designs in 1909. In 1908, the Rose Company began issuing postcards featuring baseball players. Known as the PC760 set of 1908-09, the cards feature Horner Studio photographs inside a circle upon a baseball diamond. One of the more striking cards features Honus Wagner with the same photo used for his T206 card. 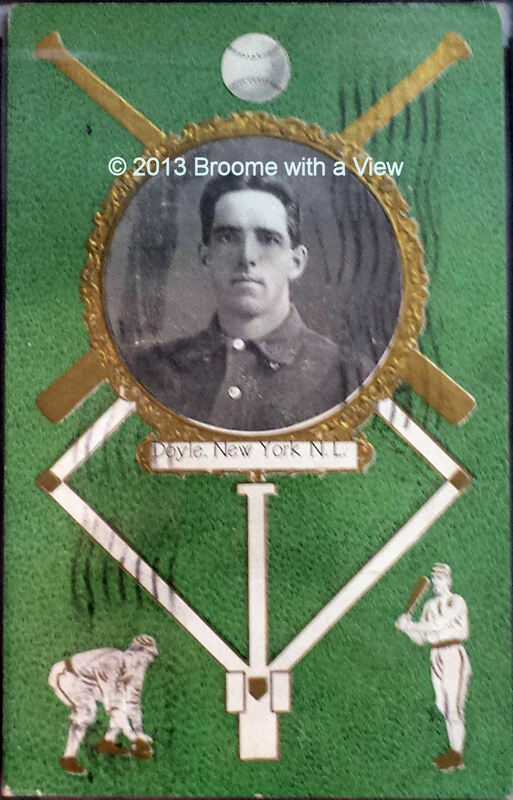 There is also a card of Eddie Plank that uses his T206 photo. It is assumed that when the Rose Company began compiling their checklist, the Doyle they would use was to be that of Larry and not of Joe. They apparently received the Horner Studio photo of Joe, the same photo that would be used to create his now famous T206 card. It could even be possible that the Horner Studio had the photo tagged wrong, causing all the confusion for the less knowledgeable person. There is not another Rose postcard in the set picturing Larry Doyle.